13. By A Spiders Thread - 2005 publication. 15. 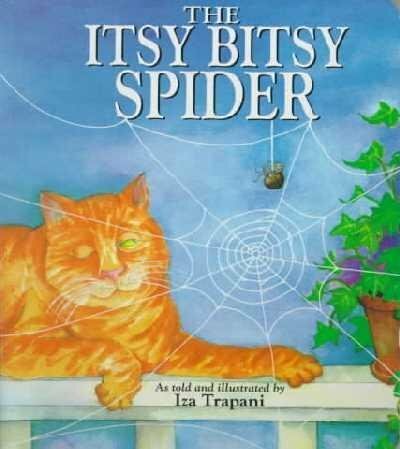 The Itsy Bitsy Spider - 1998 publication. 19. 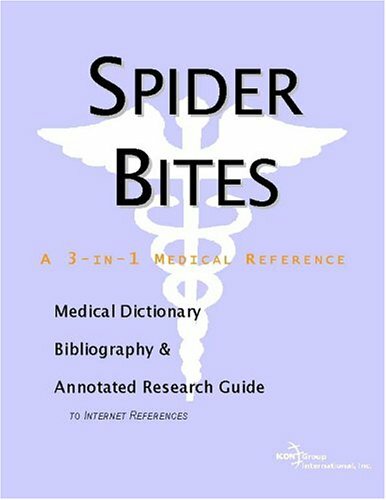 The Brain Spiders - 1997 publication. I love the illustration...the spider is very cute and it is neat the way the bird and cat is peeking through the grass.My only disappointment is that I want to sing the song while turning the pages, but the words are broken up across too many pages.The way it is laid out the pictures go along with the story, but it just does not flow nicely. Amazon's service was exceptional, as always, but the book reads sideways, which I find awkward.The illustations are beautiful. Nothing groundbreaking other than the book is best read when held vertically (so that you flip the page up instead of left. My daughter has loved this book since she was four months old.The pictures describe the text and each picture foreshadows the next action.For example, the dark cloud appears in the sky before the line "Down came the rain". 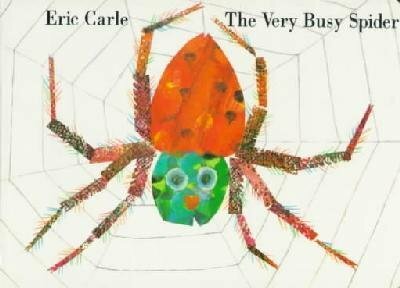 The illustrator has also added a bird that watches the spider in all the pictures.This extra feature will delight older children and adds more interest to the "story". The pictures are especially charming. Spiderman version of Where's Waldo, but harder!! My child was too young (3 years old) to appreciate this, and did more ripping out of pages, but this is a really cool book.The pages are drawn in the style of old comic books--very color and complete with WHAM's, POW's, and lots of villans, and are completely busy in the style of Where's Waldo--the pages chock full of items making Spiderman pretty difficult to find.I thought this was an awesome book and wish I had waited until he was older to give it to him.I would suggest this for more like 6-8 year olds, and think it would be a great gift for the little boy who loves Spiderman!!! my 3 yr old son likes looking at the pictures, however look and find feature is very difficult and objects to find are not interesting. 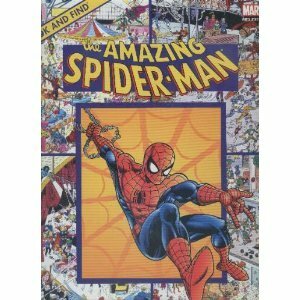 Great Book for the Spidey Lover's! I purchased this book for my 3 year old for Christmas. He is the biggest Spider-Man fan. When it got here my daughter and I looked thru some of the pages, it's great! We searched for the objects it lists on the page and then we just looked for all the Spider-Mans on the page. I know my son will spend hours with this book. It's a taller book not a small square one but it's thin so easy enough for smaller kids to tote around. Every page is full of bright color and just loaded with pictures. It's not a reading book it's an "I Spy" book. Truely a Great Gift for any Spidey lover! My daughter and I love this book. The pictures are wonderful and it's fun to sing/read. You won't be sorry if you buy this book. Both my daughter and son loved this book when they were about two to three years old.They are now four and six and don't ask for it much anymore.I buy this book as a baby shower gift a lot because I never grew tired of it even though my children asked me to read it over and over again. Our grandchildren love this expanded version of Eensy Weensy Spider. The additional verses are cleverly written and arranged to describe activities throughout the day to bedtime and back to morning. Also includes musical notes for the piano (and probably other instruments). We borrowed this book from the library twenty million times and thus I decided to purchase it.My two year old daughter loves this book.We read it two to three times a day. 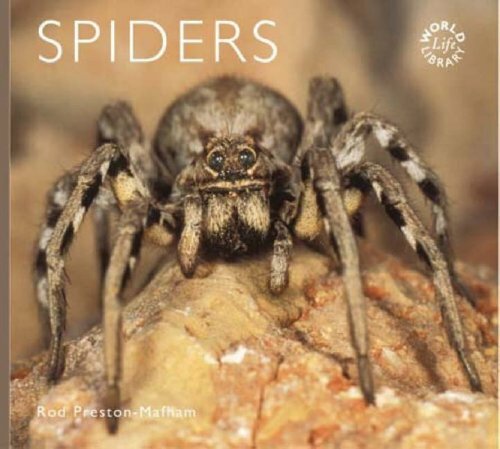 Her favorite part is when the frog tells the spider to get out of the pool.She never tires of this page.Its a great book for it combines literature with song.A must for your library. 10. 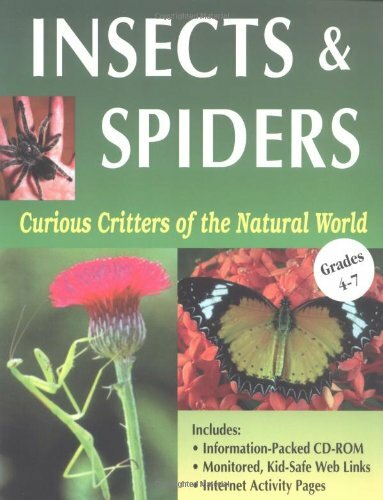 Spiders and Other Arachnids --2001 publication. 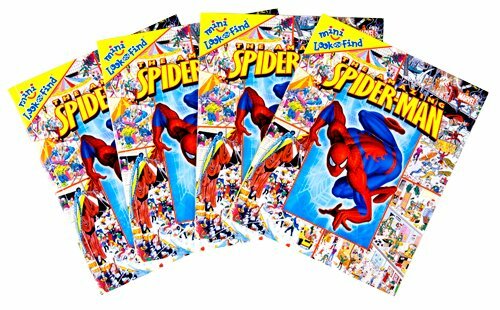 Mini Look and Find: The Amazing Spider-Man is a miniature Look and Find book with fun and exciting things to find and explore. Children can search action-packed scenes to help Spider-Man battle evil criminals. Buyers receive four copies of the same storybook. The compact size and light weight of these mini paperbacks make them a great choice for birthday party favors, gift bag treats, game prizes, and more. Pass them out at Halloween instead of candy. Mysterio, Calypso, and the Weird Ani-Men have teamed up to get revenge on Spider-Man. See if you can find the clues that show where they'll strike first. At the crowded beach, try to spot the teddy bear, roll of tickets, cotton candy, and other clues Mysterio has left behind. The clues have led Spider-Man to the carnival. Find the bat, ball, cap, and other clues that tell where the villains will strike next. Search through the crowd both on and off the field at the baseball game for hints on Mysterio's next move. Help Spidey find the actor, actress, lion, theater masks, and more at Radio City Music Hall. Mysterio has left more clues in crowded Times Square. Scan the picture for the crate, barrel, hard hat, and other items. Spider-Man used his spider tracer to follow Mysterio to an old warehouse. See if you can help Spidey find the doorways that lead to the villains' secret base. By a Spider's Thread is a fairly routine crime novel. Tess is a feisty character, and her client's obvious devotion to his religion and his family impels her to wrestle with her own fear of intimacy and her ignorance of the Jewish half of her own heritage. It's an interesting story, but to read author Lippman at her best, check out her stand alone novel, Every Secret Thing. Definitely keeps your interest, and all the surprises as the book ends will amaze you....how in the world can someone even think of all these ideas and twists and turns and connections is beyond me. The book was very good...not only the story, but how the love of family takes top priority no matter what the situation is. It wasn't suspenseful in the true sense, but you wanted to keep going to see what happens. In many of the novels in her Tess Monaghan series, Laura Lippman tries a different approach. One is told from Crow's point of view, one is set in Texas instead of Baltimore, etc. In "Spider's Thread" she uses multiple points of view. When one of these POVs is the scheming bad guy, this creates a problem because the bad guy obviously knows his entire scheme from the beginning, but he only doles it out to the reader (or Lippman only doles it out) in bits and pieces so the reader remains in what's-next anticipation. Too much a sense of the author's hand. It's better when it's only Tess' POV and I believe this novel could have been written that way. By halfway through this novel it's pretty clear what everyone's motives are and why they are doing what they are doing. The only question is how it's going to play out. The ending is a classic How Will They Escape from the Death Trap? That's where Lippman absolutely nails it. I did not see it coming, even though I should have because it fit perfectly. Also, the "explanation" of why the police would not suspect homicide at the end is so far fetched as to be unworthy of our bad guy. No message would be left behind? Liked Isaac. One plucky kid. The Judaism bits were interesting. Mark seemedmore like a construct than a real person. The portrait of the ex-con carpenter living with his shame touched me. All in all, a good but not great Tess effort. It's still true that Lippman's standalones are her true masterpieces, expecially "What the Dead Know." This was my second Laura Lippman book. I found it very compelling at the start, but it seemed to bog down as it went on.There were several red herrings, but I was completely suprised by the turn of events.The ending wasn't what I expected. I loved "Another Thing to Fall", but was disappointed with this book. 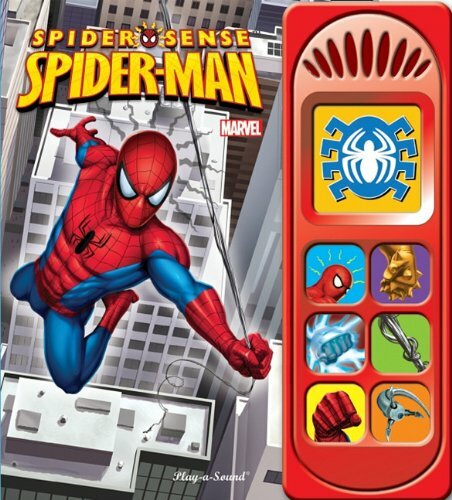 by Editors of Publications International, Ltd.
Spider Sense Spider-Man is an interactive book for preschoolers from the popular Play-a-Sound series. 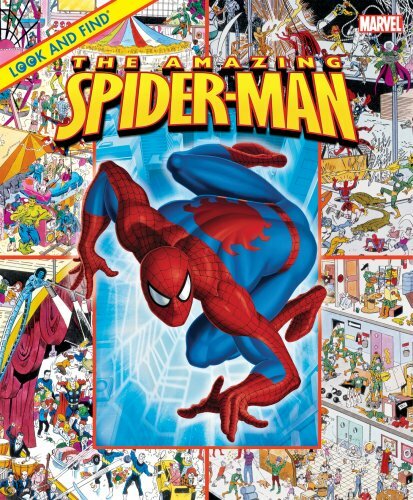 It follows Peter Parker as he morphs into the amazing Spider-Man and battles the Sandman, the Shocker, and Doctor Octopus. Preschoolers will have a blast pressing buttons to hear exciting sounds as they read this Spider-Man adventure. Illustrated icons in the text match seven big, bright buttons on the panel at the side of the book. As readers and pre-readers follow the story, they can find the matching buttons and press them to hear the sounds of Spider-Man s battles. 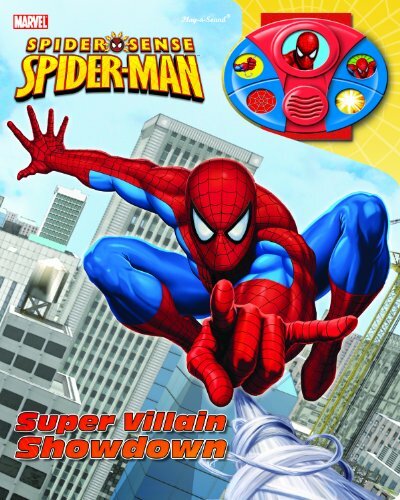 The Spider-Man Super Villain Showdown Storybook and Wristband is an interactive storybook for children ages 18 months and older that includes a child s wristband with five buttons to activate Spider-Man action sounds. Children can play with the wristband as they read about Spider-Man s latest adventures. Have no fear, Spidey s here!